Approximately 150 miles south of the Canada/United State border (which is just an imaginary line built and paid for by Canada in 1867), or 1,450 miles almost due north of New Orleans (with a westward skew as far as Houston), is Fargo, North Dakota. It lies on the banks of the Red River. This is not the same Red River of which Louisianans are familiar, which flows properly south into the Atchafalaya River and then to the Gulf of Mexico. This is actually the Red River North, a rogue 550-mile waterway which, though not inexplicably (it is gravity), flows north into the Canadian province of Manitoba, emptying into Winnipeg Bay. In the conterminous United States, one cannot get much farther north. Lacking 20th century gadgets like space heaters and snowplows, it is not surprising that shortly after settlers descended into the area in the 1870s, by the 1880s Fargo was known as the "divorce capital of the Midwest." 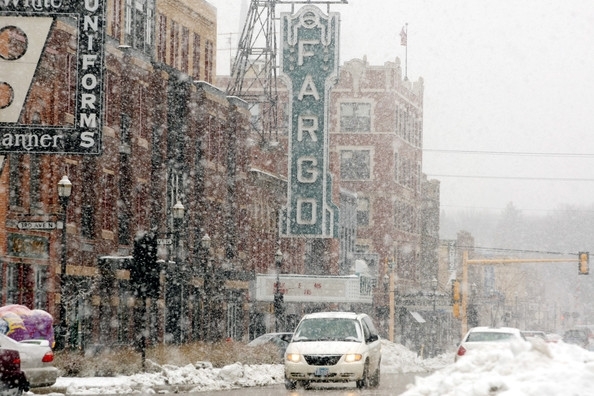 In 2011, 140 years after its founding in 1871, 850,000 votes tallied by The Weather Channel determined that, due to its propensity toward blizzards, cold and floods, Fargo was determined to be "America's Toughest Weather City." 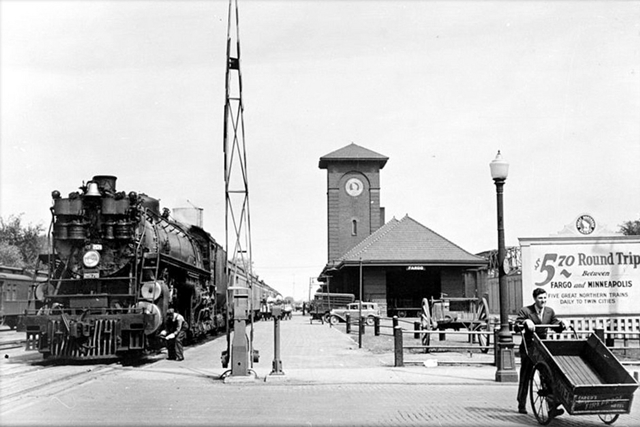 Despite the weather, the divorce rate and a devastating fire in 1893, Fargo persevered. 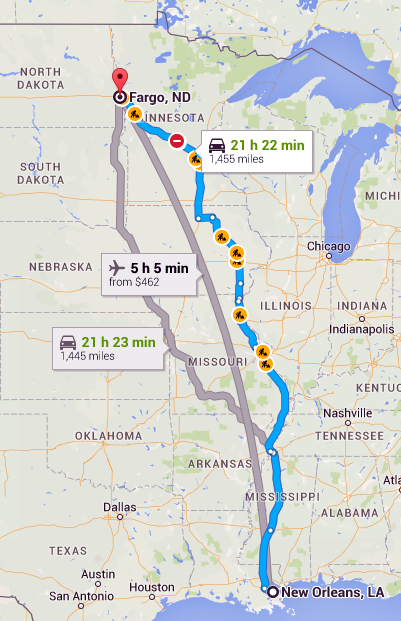 It is now the largest city in North Dakota (population over 220,000) and the home of North Dakota State University. 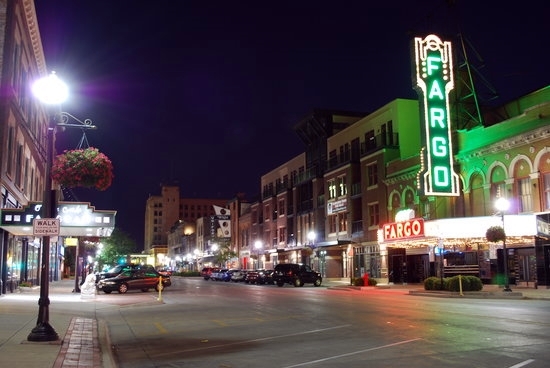 Once a primarily agricultural community, Fargo's economy is now recognized for its food processing, manufacturing, technology, retail trade, higher education, and healthcare services. 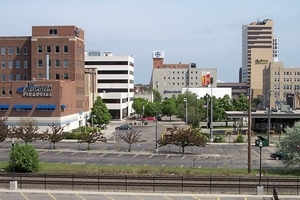 In 2014 Forbes magazine ranked Fargo as the 4th fastest-growing small city in the United States. Fargo is also, since 1992, the home of the FargoDome, which since 1993 has hosted the USA Wrestling Cadet and Junior Freestyle and Greco-Roman Nationals, the pinnacle of high school freestyle and Greco-Roman wrestling. The Louisiana National Team (Team Louisiana), consisting of thirteen Louisiana wrestlers, at least four coaches and one referee will make the five-hour flight north to participate in this event, which will be held from July 16th to the 23rd. Combined among the Louisiana contingent are four Division I, one Division II and four Division III LHSAA state championships. The Louisiana National Team coaches are Jon Orillion of Rummel, Matt Pinero of St. Paul's, and Dylan Azinger and Landon Williams of Holy Cross. James Stinson is the Louisiana National Team referee. Competing for the Louisiana Cadet National Team are Grant Rabel of Dunham and Grant Hughes, Brandon Stein and Jared Thieler of St. Paul's. On the Louisiana Junior National Team are Joshua Belle of John Ehret, Josh Candies and Josh Ramirez of Rummel, Holy Cross' Jake Rando and Joey Foret, Abby Nette of Destrehan, Raven Guidry of Acadiana, and Mason Rabel of Dunham. Additionally, Team Louisiana will include former Brusly two-time Division III state champion, and third-place finisher in the Oklahoma state wrestling championships, Kendon Kayser. This is a big event. The 2015 Junior Freestyle competition, for example, had 122 wrestlers. That year 11 of the weight classes used 128-man brackets, forcing TrackWrestling to only offer views of the "Championship Top," "Championship Bottom," "Consolation Top" and Consolation Bottom" sections at one time. The weight classes are not seeded, per se, but rather "leveled" on the outcomes of specific events to keep the more accomplished wrestlers from meeting each other in the first few rounds. Three Team Louisiana wrestlers qualified to be "leveled." Jake Rando did by being a finalist in the USAW/Cliff Keen Junior Folkstyle Nationals in April, held in Cedar Rapids, Iowa. Josh Ramirez qualified via an eighth-place finish at the UWW Freestyle Nationals in Akron, Ohio, in June. And Kayser qualified as a returning Greco-Roman All American (Kayser placed sixth in the 2015 Cadet Greco-Roman Nationals last year in Fargo). The events may be followed via TrackWrestling. The schedule is shown below. The starting times for each round may be found HERE.